The Council of the European Union have announced the immediate launch of a military operation in the Central African Republic to help “achieve a safe and a secure environment” amid the escalating crisis, said the council’s order. 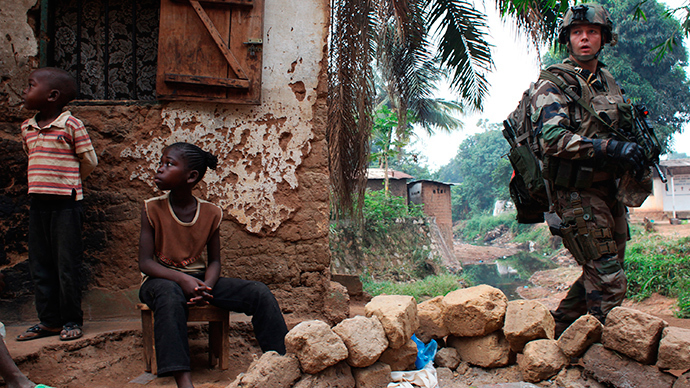 The HQ and the troops will be located in Bangui, the capital of the Central African Republic and its largest city. The operational center will be located in Larissa, Greece. The troops are to be deployed rapidly to ensure "the immediate effect" of the operation. The costs were estimated by the EU at €25.9 million for the preparatory phase a mandate of up to six months starting from the point of reaching full operational capability. The move has been authorized by the UN Security Council in resolution 2134 (2014). “The launch of this operation demonstrates the EU’s determination to take full part in international efforts to restore stability and security in Bangui and right across the Central African Republic,” said the EU High Representative for Foreign Affairs and Security Policy and Vice President of the Commission, Catherine Ashton. The Central African Republic has witnessed increasing sectarian violence since mainly Muslim Seleka rebels seized power a year ago. They have been perpetrating abuses on the majority Christian population that have been retaliating with attacks. The violence led to thousands of deaths and has displaced hundreds of thousands of people. Renewed violence broke out in Bangui in December 2013, when on Christmas six Chadian soldiers from the African Union peacekeeping force were killed in the Gobongo neighborhood and a mass grave of 20 bodies was discovered near the presidential palace. “The capital of the Central African Republic, Bangui, has relapsed into wider violence in the past week after anti-Balaka fighters [or Christian militias] have stepped up attacks on Muslim populations and African Union peacekeeping forces (MISCA) protecting them,” said UN High Commissioner for Refugees spokesperson Fatoumata Lejeune-Kaba at a press briefing in Geneva on Tuesday. The renewed inter-communal violence has triggered further displacement within the country, he added. 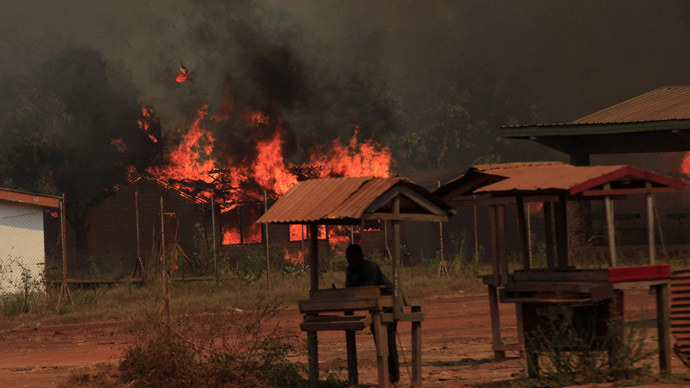 The anti-Balaka forces control major routes in and out of the capital and the towns surrounding it. Muslims live in the PK12 neighborhood of Bangui, in Boda, Carnot and Berberati, to the west of Bangui, and in Bossangoa, further north. “We fear for the lives of 19,000 Muslims in those locations,” said Lejeune-Kaba. According to the UNHCR, the Muslim population in Boda said that their freedom of movement is restricted and they fear for their lives, and are requesting more protection. The UN said on Tuesday it was urgently trying to evacuate the Muslim population. At least 60 people have been killed in Bangui since March 22 in clashes between anti-Balaka factions and Muslims, UN human rights spokeswoman, Cecile Pouilly, said. The Central African Republic has never seen this kind of religious violence before, said Adama Dieng, UN Special Adviser on the Prevention of Genocide in March. “Such widespread and systematic targeting of civilians based on their religion or ethnicity indicates that crimes against humanity are being committed and that the risk of genocide remains high,” he said in a statement. In November last year France urged the international community to intervene in the conflict. The use of force was authorized by the UN Security Council in January. 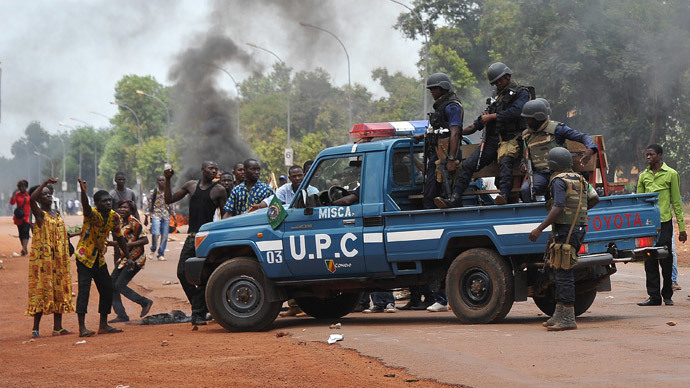 However, the CAR government, currently backed by 2,000 French and 6,000 African Union peacekeepers, is still struggling to cope with the violence.